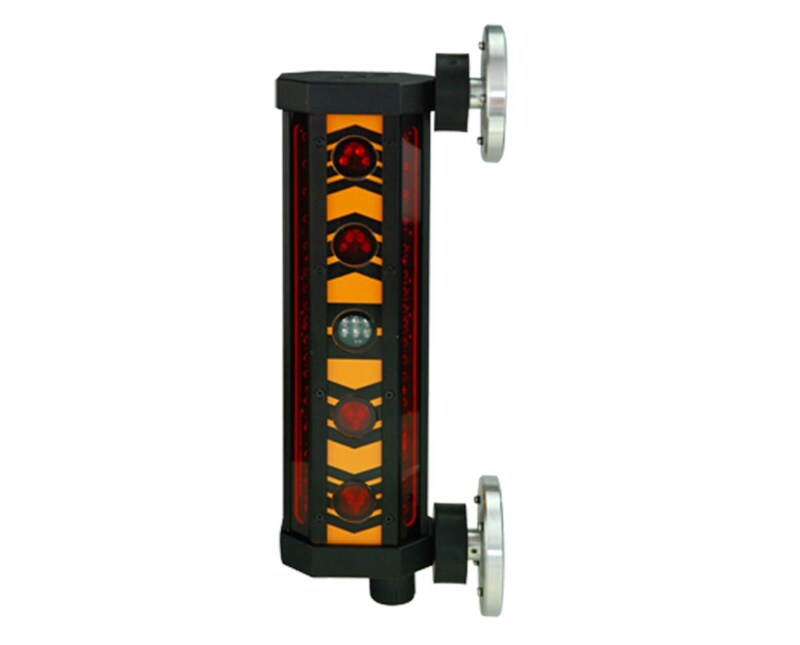 Ideal for bulldozers, front-end loaders, and backhoes, the Johnson Level Machine Mountable 360 Degree Detector picks up the signal from any red beam rotary laser from any angle. This detector features a 360-degree window for receiving a red beam rotary laser signal. Ideal for clamping or magnetically mounting on machinery for easy setup. 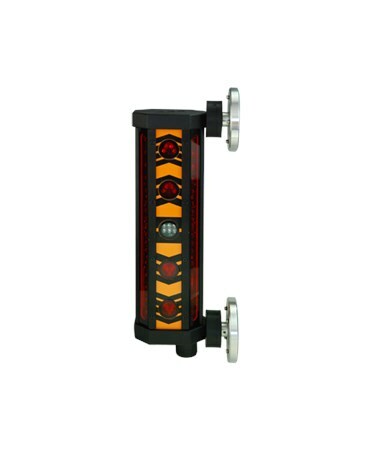 This Johnson Level Machine Mountable 360 Degree Detector features a large ten-inch receiving window, and a built-in super bright LED display which makes the receiver easy to use when doing excavation and grading jobs. It features a durable housing material that is designed to last for years. 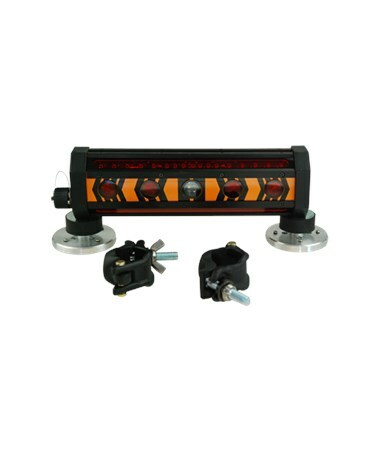 This machine control receiver is ideal for long-hour works and provides up to 40 hours of battery life. 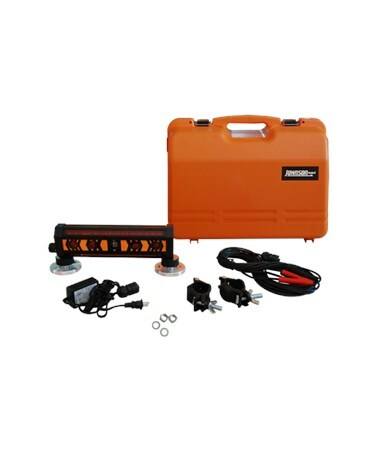 The Johnson Level Machine Mountable 360 Degree Detector includes detector with clamps and powerful magnets, NiMH rechargeable battery pack, cable, charger, instruction manual with warranty card and hard-shell carrying case. In addition, an optional Johnson Level 40-6792 Remote Display is available for long-range leveling tasks. It also comes with a 3-year warranty.